Do you accept credit cards in Yugoslavia? OK, I’ll admit it, I’m a historian. To a former student of the Habsburg Empire like me, Tito is almost a contemporary character and the war of the 1990s happened yesterday. Although the conflict ended 20 years ago with the Dayton peace agreement. 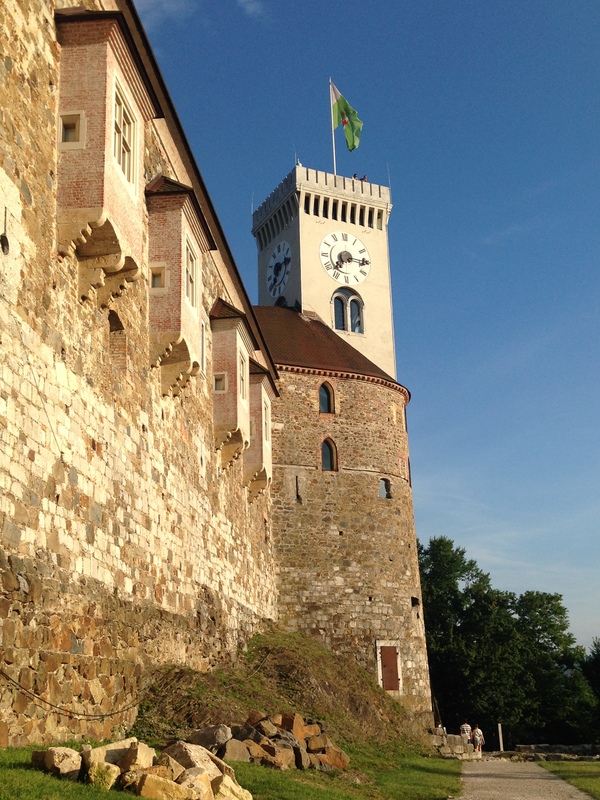 I got a timely lesson in its role for modern Europeans earlier in the month from a student of English, born in 1993, working part time in the gift shop in Ljubljana Castle in Slovenia, a tiny country sandwiched between Italy, Austria, Croatia, Hungary and the Adriatic Sea. His world begins and ends with the European Union and he has travelled extensively. The young man expertly analysed for me the characteristics of Slovenia, Croatia, Serbia, Bosnia, FYR Macedonia, Montenegro and Kosovo, which outsiders have lumped together as one conglomerate, known as Yugoslavia, for many years. The difference between them, according to my young friend, comes down to whether a country is part of the ‘modernising and civilising’ EU, or not. Yes to Slovenia and Croatia, no to the others. This part of Central/Eastern Europe has become a complex place since the negotiated peace that ‘settled’ the contemporary Balkan question in 1995. So he was amused for several reasons by the puzzled elderly American, who inquired whether credit cards were legal tender ‘in Yugoslavia’. In this part of the world, it’s natural to move between countries using the same currency and almost ignoring the territorial borders. “If England (sic) was part of the Eurozone you would be proper Europeans and you’d make the currency work,” said the student. The UK is embarking on an in-out EU referendum and I fear most of the arguments will be based on simplistic immigration and benefits arguments. It’s about time people understood the bigger picture. Argue about it as you may but it’s more than ‘scrounging asylum seekers’. Mainland Europeans in the north of ‘Yugoslavia’ who have experienced the Habsburg Empire, the rule of Napoleon and later regimes tend to see the big picture far more than we ‘little Englanders’. I hope we engage with wider issues before voting begins.